In Venice, you will want your hotel to have a good location. And that means being near both the piazza San Marco and the Grand Canal. It is no wonder, then, that the Hotel Monaco & Grand Canal is so popular, for it enjoys one of the best positions in the city. Not only, as its name demands, does it have that all-important frontage on the Grand Canal, but it is also (even at my crawling pace) only two minutes from St Mark’s Square. This is a location kissed by Heaven. 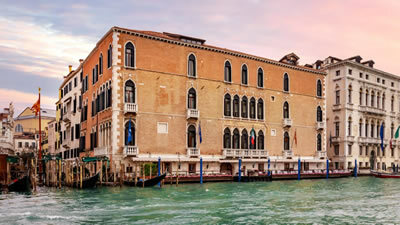 There is no doubt that The Gritti Palace is one of the world’s great hotels. 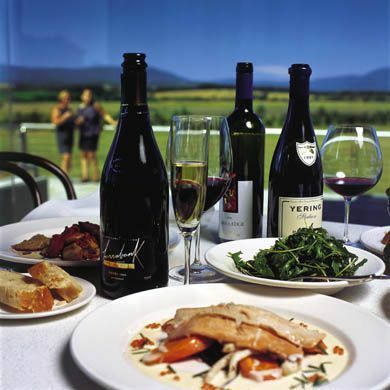 It is also one of the most famous, although it combines its fame with the kind of discretion which, doubtless, is welcome to its many important guests. It embodies the grandeur, the beauty and the style of La Serenissima. Small wonder, then, that I have loved The Gritti Palace for many, many years. Indeed, it has long been my belief that there is only one thing better than arriving in Venice, and that is arriving in Venice when you know you are staying at The Gritti. A few years ago this glamorous lady (for are not all grand hotels ladies?) was ’restored’. Yet the restoration, which cost many millions of pounds, was so discreet and so expert that – and I mean this as the highest compliment – it is now as if nothing had happened. Perfection still reigns. And the welcome I received on my recent visit was still as warm and as genuine as always – as genuine as the fine pieces of antique furniture which continue to decorate its sumptuous salons. 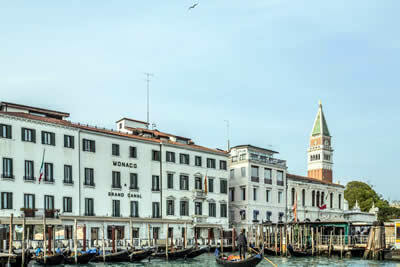 The Metropole in Venice is an hotel for those “in the know”. 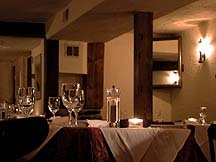 It is comfortable, well-located and has a Michelin star twinkling over its restaurant. But it also has something else which nowadays is quite rare: character. Character is difficult to define, but when you encounter it you recognise it immediately. In a world in which too many hotels seem to strive for the same ghastly blandness, The Metropole stands out as a beacon of hope. 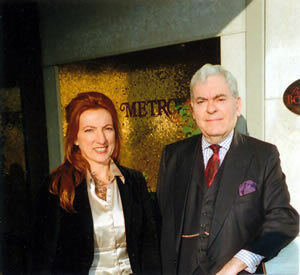 The owner and General Manager, the charming and vivacious Gloria Beggiato (pictured, with your correspondent), runs her establishment with enormous panache. The result is that hers is the very best sort of luxury establishment.